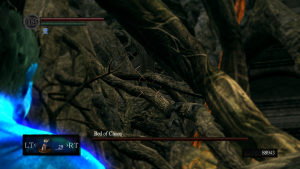 The Tokhi Bombs is a strategy used in The Bed of Chaos bossfight in Dark Souls. 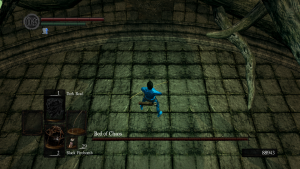 It was discovered by the runner tokhi_join and is commonly used in speedruns since December 2013. It saves about 1:10 minutes. 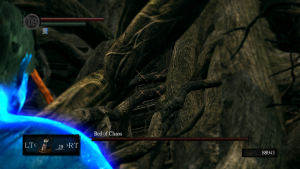 The general way to execute the Tokhi Bombs is to go directly in front of The Bed of Chaos and throw one firebomb to each side in such a way that both reach the glowing orbs that need to be destroyed in order to reach the heart of the boss. This page was last modified on 20 October 2015, at 09:25.